Republicans are not hiding the ball. No more compassionate conservatism. No more let’s rebuild public education. No more let’s make sure everybody has access to health care. No more. No more talk about women’s equality and women’s rights. No more. Women, Children, and Sick Last, or “Corporation are People, My Friend”! 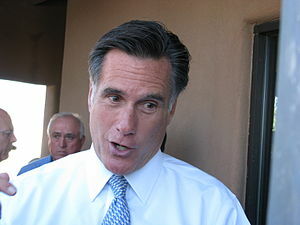 Mitt Romney this week has been highlighting his opposition to Obamacare, telling voters and donors of his eagerness to see the U.S. Supreme Court strike the law down and a willingness to do the deed from the White House if the court does not. “You know, regardless of what they do, it’s going to be up to the next president to either repeal and replace Obamacare or to replace Obamacare,” Romney told a crowd in Orlando on Tuesday. 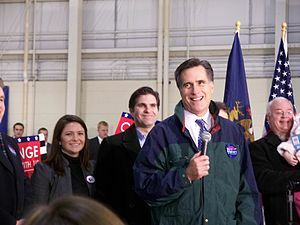 But it’s Romney’s unabashed public opposition to one of the law’s most popular provisions – a ban on health insurance company discrimination against people with pre-existing conditions – that is once again stirring the political pot. The former governor said this week, reiterating a position he’s articulated in the past, that only Americans who have had constant, uninterrupted insurance coverage should be guaranteed access to a health plan, regardless of any pre-existing conditions. Asked to clarify his position on Wednesday, Romney campaign spokeswoman Andrea Saul confirmed that the former governor does not support the across-the-board consumer protections for pre-existing conditions as written into Democrats’ health care law. “Governor Romney supports reforms to protect those with pre-existing conditions from being denied access to a health plan while they have continuous coverage,” she said first in a statement to the Huffington Post later obtained by ABC News. via Romney Plan for Pre-Existing Conditions Draws Dem Fire – Yahoo! News.